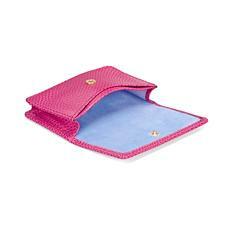 Cultivate your professional image with Aspinal's sleek and immaculately handcrafted Business Card Holders for women. 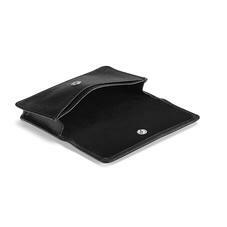 Supple yet structured Italian leather will keep your cards pristine and perfectly presentable; essential for any modern business woman. Available in a selection of shades from muted black and brown to playful raspberry and orange, your style sensibilities will be answered. Choose from our ultra-luxe stainless steel holders or our premium snap-closure leather cases, and exude professionalism.